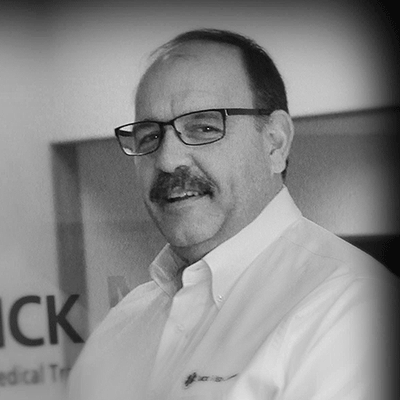 In his role as Vice President of Business Development for Quick Med Claims (QMC), Ed Marasco is responsible for developing new business opportunities and service lines, providing consulting services to medical transportation organizations, and supporting existing QMC clients. Prior to joining QMC, Ed was a Regional Vice President of hospital-based services for Air Methods Corporation (AMC), the world’s largest air ambulance operator. Prior to the acquisition of CJ Systems Aviation Group (CJ), he served as the Senior Vice President for Air Medical Services for CJ. Ed served as the Vice President and Chief Operating Officer of Emergency Resource Management, Inc., a subsidiary of the University of Pittsburgh Medical Center (UPMC). In this capacity, he guided the operation of a $25+ million physician practice. In addition, he served as a member of the Board of Directors for the STAT MedEvac Program. Ed received his Bachelor of Science degree in Secondary Education from the University of Pittsburgh and his Master’s degree in Public Management from the H.J. Heinz III School of Public Policy and Management at Carnegie Mellon University. He has been actively involved with the Association of Air Medical Services (AAMS) for more than 20 years, where he served as a member of the Fixed Wing Committee and the Finance and Reimbursement Committee. He served on the AAMS Board of Directors as the Chairman of the Finance and Reimbursement Committee for more than four years. Ed represented the Association of Air Medical Services in the Negotiated Rulemaking Process to establish a new Ambulance Reimbursement Fee Schedule for the Medicare Program. Ed also serves on the boards of several health care organizations, including Jefferson Regional Medical Center, West Penn Allegheny Health System and the Pittsburgh Emergency Medicine Foundation.